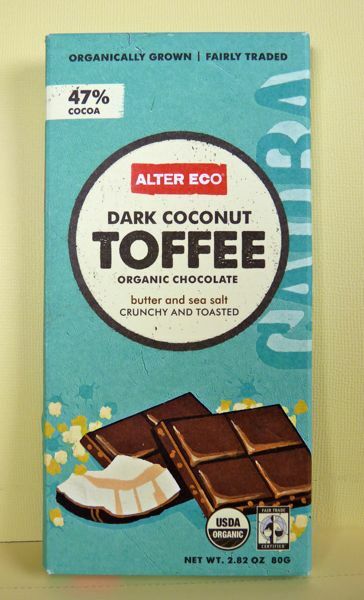 This Dark Coconut Toffee (47% cocoa) Organic Chocolate bar from Alter Eco (San Francisco, CA) was well liked by friends and family. Made with bits of dried coconut, raw cane sugar, and a touch of butter and sea salt rounded off things nicely. 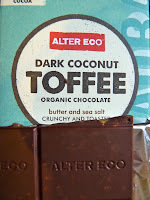 I gave extra points to Alter Eco's work with cacao cooperatives in South America. 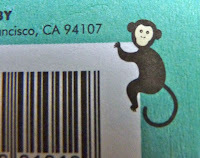 This chocolate originated from "organic trees in the Peruvian Amazon." 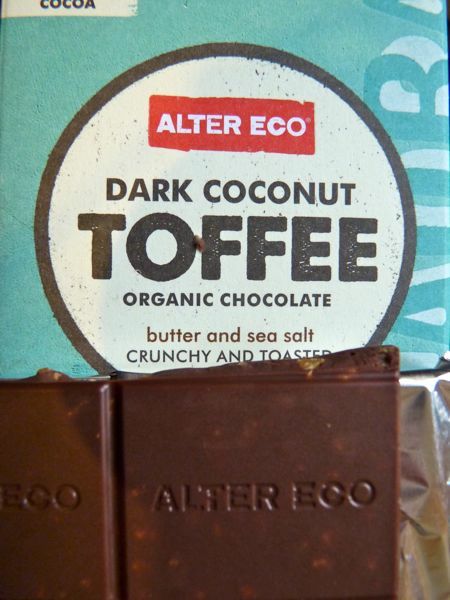 This Fair Trade, GMO free bar was made with milk, but "no soy or gluten ingredients," artificial flavors or emulsifiers. 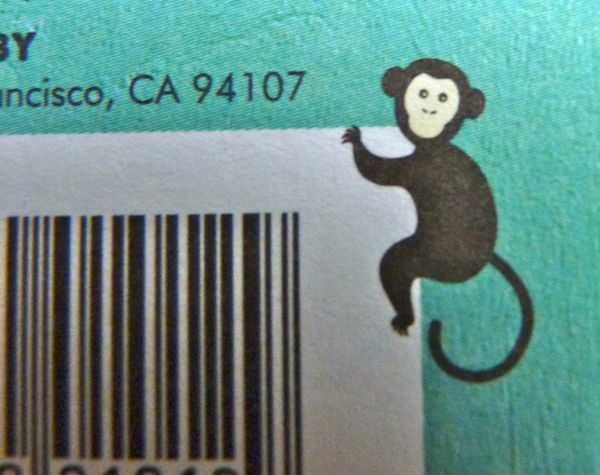 Also extra points for the monkey hanging onto the UPC code on the back of the package because, what the heck, I just like monkeys. Today was Day #3 of Chocolate and Coconut Theme Week.